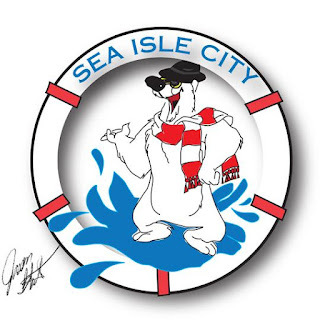 This Saturday will be the Polar Bear Plunge in Sea Isle City it will also be our middle of the winter clearance event at Sea Isle Bait and Tackle. Some of the Hot clearance items are ALL metal jigs and spoon including AVA jigs, deadly dicks and more will be 50% off. Gulp!, cast nets, rods, and combos will all be 20% off. Penn fierce all sizes will be 10% off. Hunting supplies will be 25% off. Rigs and snelled hooks buy two and get one FREE. With this economy invest your money wisely, you will be fishing this spring and summer why not make 10% on your money??? Buy a Sea Isle Bait and Tackle Gift certificate and get 10% off. Join us this weekend here in Sea Isle City for the Polar Bear Plunge the Polar Bear Run/Walk the middle of the winter clearance event at Sea Isle Bait and Tackle..